As I previously shared, Southborough Open Land Foundation has put a call out to artists. For the third summer running, a juried exhibition will be on display at the Beals Preserve. 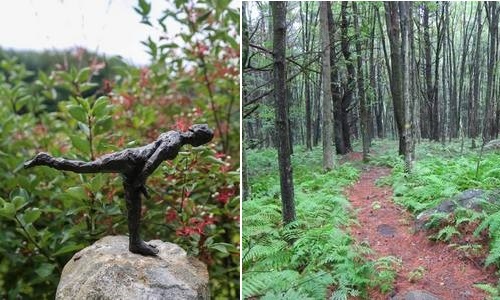 Join Catherine Weber for a tour of the Elaine and Philip Beals Preserve and learn more about making a submission of art for the Art on the Trails juried exhibition. To signup for one of the tours see the Facebook event. Participants will meet at 151 Red Gate Lane, at the trail head of Beals Preserve. Street parking is available. Click here for the map. If you can’t make either of this weekend’s times, you can contact Weber cweber@artonthetrails.com to schedule another time to meet. Don’t wait too long. Applications for this year’s exhibit are due on April 22nd. For more details on this year’s exhibition, see my previous post and the Art on the Trails website.